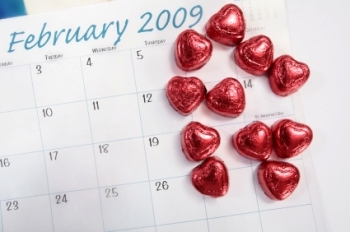 February...makes us think of Groundhog Day, President Abraham Lincoln, and Valentine's Day Chocolate! Our list of Naperville February Events offers something for everyone. We know it's cold, but come out and enjoy the shortest month of the year! Jing Zhou, was born in Chongqing, China, and is an Assistant Professor of Art at Monmouth University, New Jersey. The Art Exhibit runs through February 20. Place: North Central College, Oesterle Library, 320 East School Street, Naperville. Join this special event, where the lights are turned down low and shadows are the stars! The performance is for all ages, no registration required. Place: Naperville 95th St. Library - 3015 Cedar Glade Dr., Naperville. Chicago's highly praised and innovative vocal ensemble Chicago a cappella will celebrate the spirit of generosity and gratitude with their “Abundance” concert. Audience members are each asked to bring a nonperishable food item for the Greater Chicago Food Depository. For tickets and more information call 1-800-SING-NOW or 773-755-1628. Place: Wentz Concert Hall at the Fine Arts Center, 171 E. Chicago Ave., Naperville. Kids ages 5-12 can create a Heart Trinket Box to keep or give to a special Valentine. This cool workshop lets kids learn tool safety and do-it-yourself skills. On the anniversary of Abraham Lincoln's 200th Birthday, come celebrate with games, activities, cake and punch. Fee: $8 adults, $7 seniors, $5.50 youth. Free admission for Naperville Heritage Society members and Season Pass Holders. Escape for a few hours and pamper yourself. Enjoy free samples from vendors, yummy dark chocolate fondue, fruit, herbal tea and sparkling juice. Visit Binny's Beverage Depot in Naperville and sample over 40 wines from various regions of Spain. Discover why Spain is an excellent producer of quality wines at affordable prices. Wines will be paired with cheese from Binny's own Gourmet Grocery. Proceeds will be donated to the Naperville Humane Society. Call (630) 717-0100 for reservations. Fee: $10 Binny's Card members / $15 non-members.